“Get Your Tatts out” in Worcestershire and the West Midlands. Get Your Tatts Out was originally a photography competition held in 2015 and may get held again this year. Regardless of the competition we are frequently booked to create ” Get Your Tatts Out ” photography shoots. You will get some amazing photography of your ink and many people have selected to have an album or single shot blown up as wall art. If you have tattoos or a partner or friends have tattoos please tell them about these special shoots. The ” Get your Tatts ” Out photo shoot is just £19.99 or upgrade to a makeover and a ” Get your Tatts Out ” professional photo shoot for just £30 this includes a 7″ x 5 ” of course we also offer a wide range of wall art, albums or individual prints as well as digital options to have your images on a flash drive. So if you live in Worcestershire or the West Midlands Come and ” Get Your Tatts Out ” at Sammy Southall Photography and enjoy your ink at its best forever. This is a great experience and a real chance to show of your tatts at there best. We offer the most beautiful and flattering body sculpting lighting in our lovely professional studio based in Kidderminster, Worcestershire. If you have any questions about the “Get Your Tatts Out” Photography experince by Sammy Southall just call Jane Southall on 01562 747612. Welcome to the best Makeover Gift Voucher Offer we have ever made. 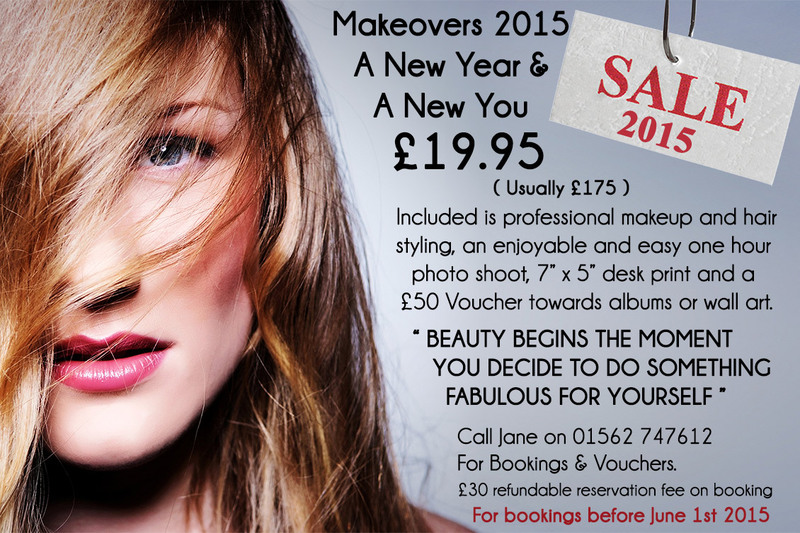 Makeover Gift Vouchers for 2015 at Sammy Southall Photography are now just £19.95. We have had many calls from potential clients wanting to visit our studio after they have seen images we have created for their friends and family, they have also seen similar sounding experiences on Groupon, Wowcher and other daily deal sites for less than £20. 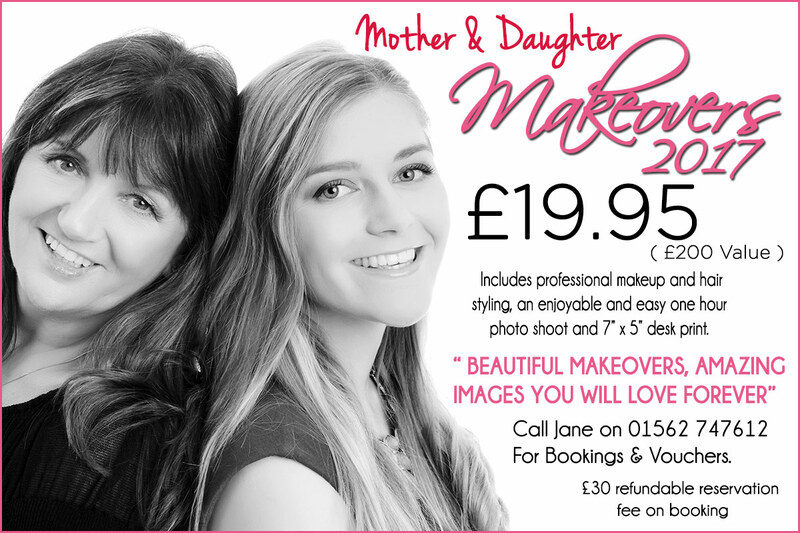 We offer an individual personal, professional and friendly experience creating images we are sure you will want to keep forever, so we have decided to “price match” making our usual makeover voucher price of £49.95 just £19.95. We want to offer everyone the opportunity to come along and experience first hand our superb personal service. The true value of this experience really is £175 and in reality, nearly everyone who visits us for our makeover experience usually invests between £300 and £400 in their final order of Digital Image Discs, Video Slideshows, Phone and Tablet Apps, Prints, Albums and wall art. So for the start of 2015, you can buy these special makeover vouchers to see how fabulous we will make you look and feel for the same introductory price as the deal sites. Happy 2015.